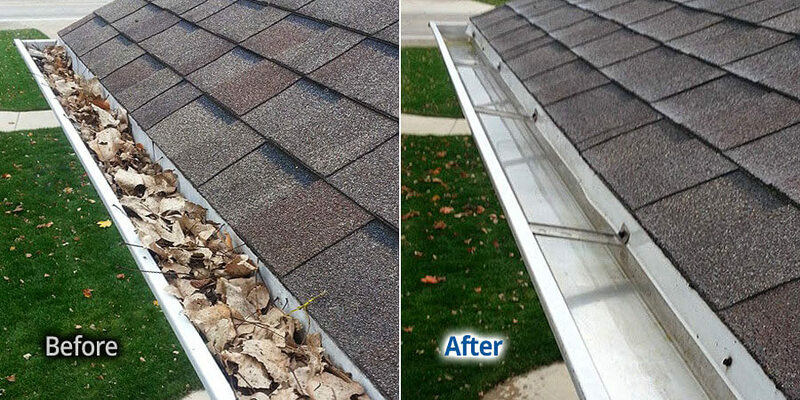 Keeping your home’s gutters and downspouts free of leaves and debris is smart preventative maintenance. A clogged gutter system can lead to all sorts of expensive home repairs, but that doesn’t mean you should risk your own neck up on a ladder trying to clean out your gutters. Leave it to the pros at BF Home Services to keep your gutter system free-flowing and in proper working order. A little upkeep now could save you thousands down the road! Your Gutters Should LOOK Good, too! 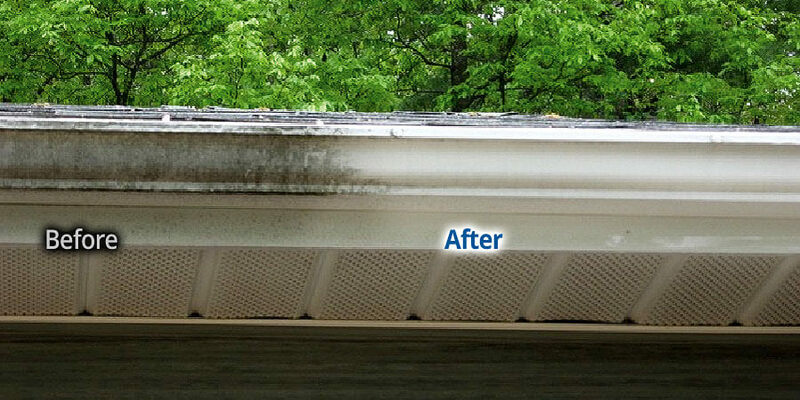 Did you know the exterior of your gutters needs to be cleaned as well? Take a look at the exterior facing of your gutters and downspouts – do you notice any dark streaking or discoloration? This is due to a natural process called Electrostatic Bonding, which causes unsightly contaminants to adhere to the exterior surface of your home’s gutters and downspouts. Our Gutter Whitening service is the solution to this problem. 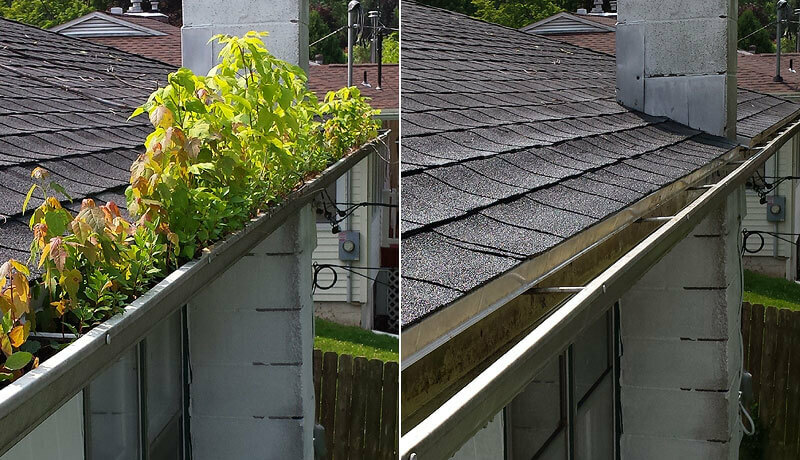 We can safely remove those unwanted discolorations, making the visible parts of your gutters and downspouts look nice and clean. Plus, this valuable service is the perfect finishing touch to our House Washing or Roof Cleaning services!